With the multitude of yard haunts that proliferate every Halloween, one would think that there is little room left to carve out a distinctive niche, yet somehow Spooky Hollows manages to do just that. 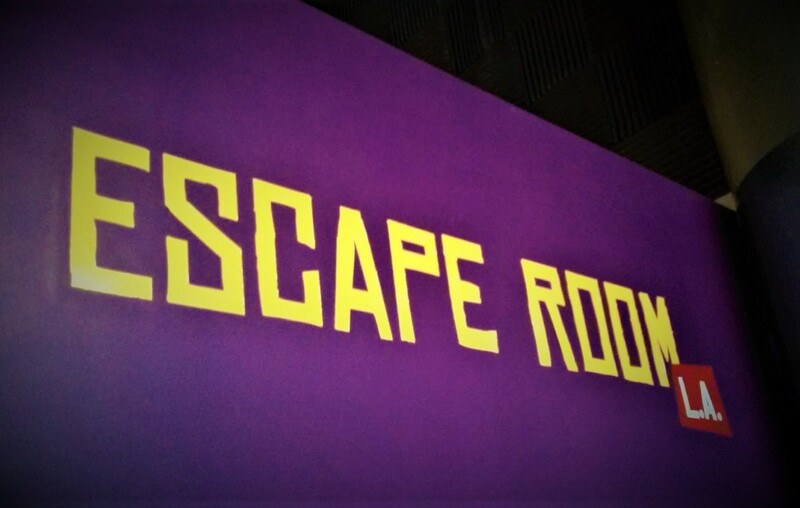 This imaginative home haunt offers a walk-through haunted house experience with settings and scares unlike any other amateur attraction in Los Angeles. 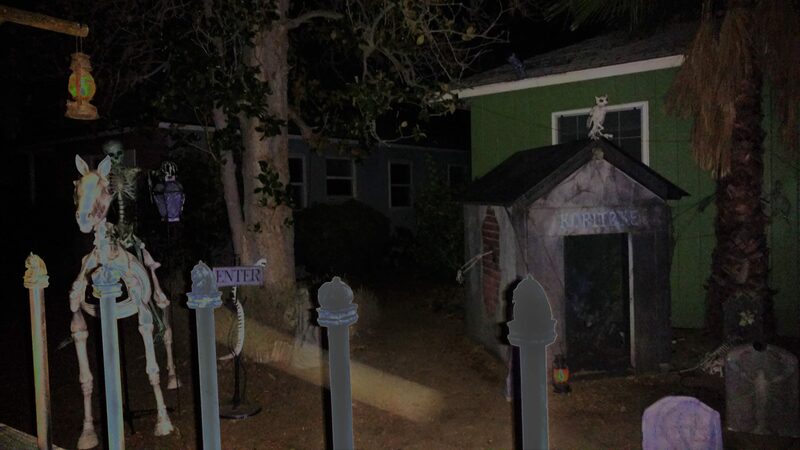 The template is similar to that of The Backwoods Maze home haunt: there is a front yard display and a backyard maze, which seems rather longer and more elaborate than possible within the confines of the available space. But there the similarity ends; Spooky Hollows fills the template with its own brand of Halloween horror. A girl with glowing eyes rocks on a swing as you approach from the sidewalk; relentlessly, she hums a nursery rhyme tune. Two adult ghouls prowl the gravestones; one, resembling a grave-digger, bellows at the girl to be quiet - to no avail. When your turn comes, you are escorted through the cemetery, past a skeletal horse and a tomb marked "Koritzke. "* Your guide abandons you as you reach a fence guarded by a giant spider. Moving inside, you cross a bridge over a swamp inhabited by snapping albino alligators - no, wait, they're skeletons, too! This is a swamp of the dead, and there's no way out but to proceed! Further along is the entrance to a sewer, where a witch appears, giving misleading directions regarding how to proceed. The dark tunnel is haunted by who knows what - but you will find out soon enough as you make your way through. The exit leads not to safety but to more horror: flesh-less piranha leaping from the water, a plant nursery housing some kind of strange vegetation that turns out to be a human hybrid; there may even be a diminutive child demon taking lessons from its mother. Hollywood Gothique really has not done enough to sing the praises of Spooky Hollows. Technically, it is very impressive: the costumes, masks, and makeup are all convincing within the shadowy settings; the mechanical effects and scenery are professional quality. The sets and props are not quite as elaborate as Backwoods Maze - there are no towers or ten-foot-tall cyborgs - but that's a bit like saying The Blair Witch Project is not as elaborate as Final Destination: the production value achieves what it needs to do for this particular style of scares. Moreover, the presentation is very well done. The front yard display is enticing, but it offers only the merest hint of what follows. 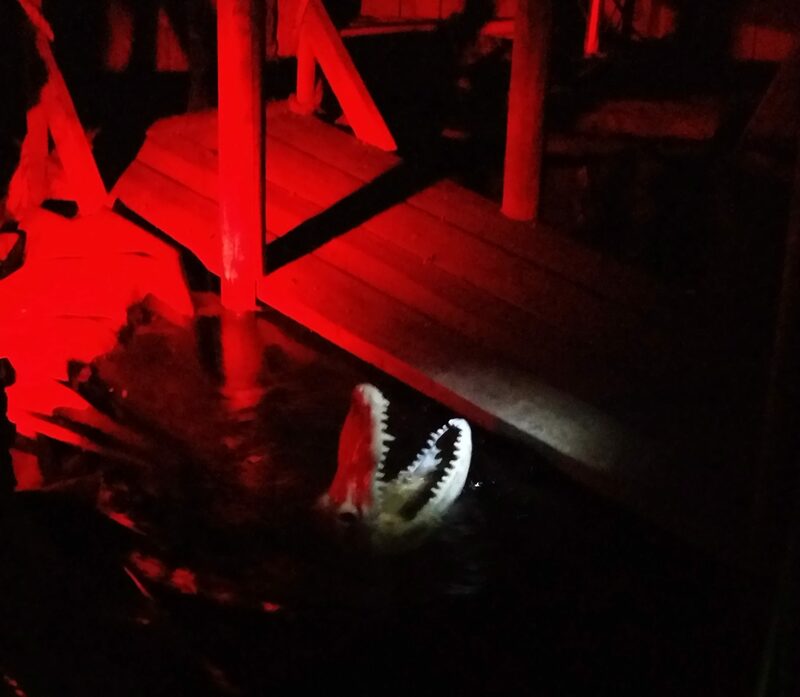 Then the very first scene of the walk-through is only freaking swamp with skeleton alligators - immediately immersing you into the haunt's world and announcing that you're in for something special - a promise fulfilled moments later when you see the entrance to a sewer tunnel and gape in amazement, thinking, "They didn't just build a swamp in their backyard - they built a sewer, too? Seriously?" Of course, settings are great, but the come to live only with the help of a good cast. Spooky Hollows' characters cackle and torment you, sometimes toying with you for their own amusement. They all really seem to enjoy their work. It's a tough call, but our favorite scare is the human-plant hybrid; it looks so much like a well-carved prop that its sudden burst of life is a genuine surprise. There are so many good home haunts in Los Angeles that the bar is raised very high. Spooky Hollows 2017 clears the bar to compete with the best of them. A tribute to Bob Koritzke, the late owner of the long-running Spooky House. The Spooky Hollows home haunt concludes it Halloween 2017 run tonight, October 31, 7-10pm. The address is 16418 Gilmore Street Van Nuys, CA 91406. The website is: spookyhollows.com. This imaginative Halloween home haunt carves out its own distinctive niche, offering a walk-through haunted house experience with settings and scares unlike any other amateur attraction in Los Angeles.